Technical ‘reverb tail’ solutions that aid different ways of musical expression through room reverb manipulation are gradually becoming more common, yet they are still cutting-edge rather than mainstream. The first question to ask in this context is probably why one would even consider designing and implementing a system that allows you to manipulate ‘the sound’ of a concert hall or venue rather than treat it acoustically? The answer is that different types of music requires different kinds of room acoustics, and the venues that have such systems integrated have already been measured and corrected acoustically in great detail – for one type if music. Then the reverb tail system kicks in when another type of music fills the room. 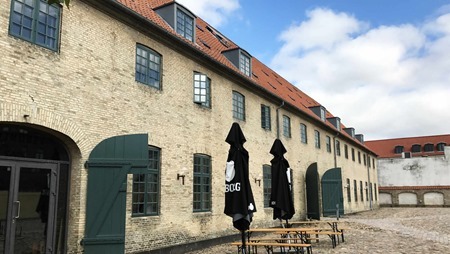 This is no exception at Tøjhuset in Fredericia, Denmark. 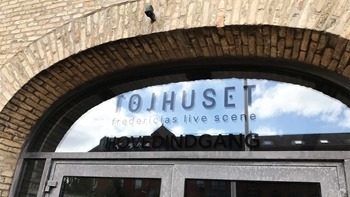 Tøjhuset had been used for classical music for years when it was decided to merge with another local live venue that was focusing on rock, pop, blues and jazz music. The main room was already optimized acoustically for classical music, allowing a fairly large degree of natural reverb to exist. This, however, is rarely the best environment when it comes to hard-hitting drummers and guitar amps pushed to – and sometimes beyond – the edge. This kind of music simply requires much more room dampening. And while it is technologically possible to reproduce reverb, you can’t just flip a switch and remove it. 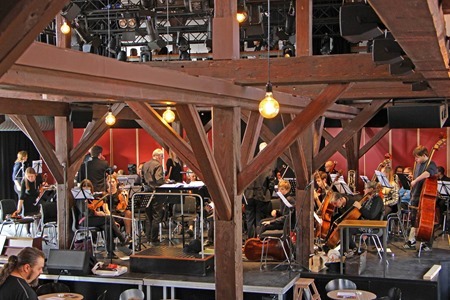 Therefore, it was decided to have the room measured and treated acoustically, optimized for amplified music – and then implement a solution that would allow for classical music to also thrive and shine in the same room. The reverb ‘room correction’ system at Tøjhuset consists of 5 main elements. Obviously, the sound in the room needs to be captured and for that task, 5 DPA d:dicate™ 4015 Recording Microphones hang strategically above the stage. The microphone signals are then passed on to one of our AX32 units which amplifies the microphone signals and converts it to digital. 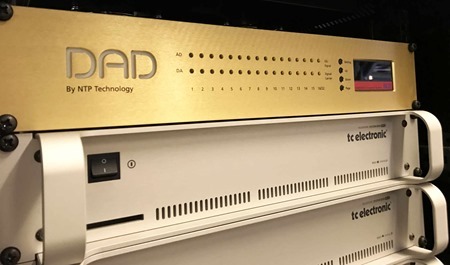 Once in the digital domain, AX32 distributes the audio signals to 3 TC Electronic System 6000 units that handle compression as well as the actual reverb processing on no less than 32 channels before passing it all back to the AX32 for D/A conversion. 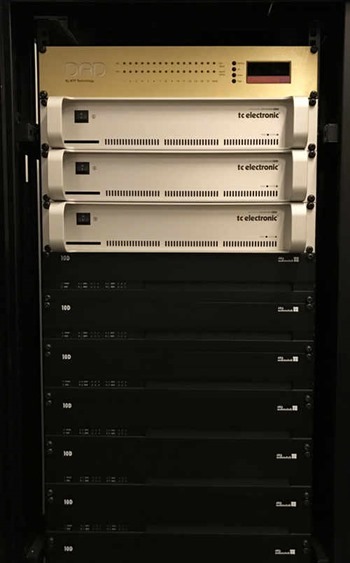 Finally, the signals are sent to a rack of d&b 10D amplifiers connected to EM Acoustics EMS-51 speakers in the room. 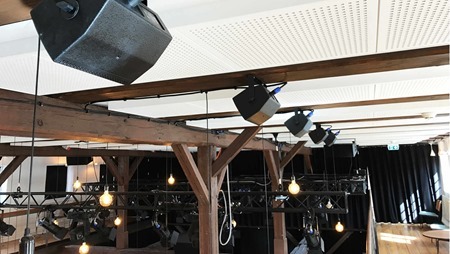 In order to achieve the sense of an enlarged room the speakers are mounted at a height of 4m and are deliberately not aimed directly at the audience. 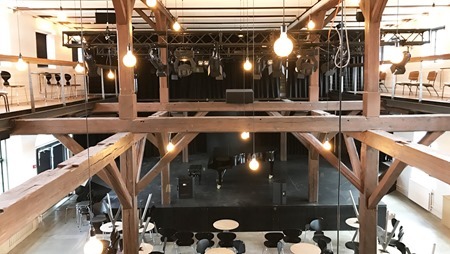 Instead, they play into the room, letting the reverb diffuse naturally when hitting the many wooden pillars, which gives the audience and the musicians the sense that the reverb is coming from the room itself rather than the speakers. Just the way it was intended! One final, yet important, point is that the reverb algorithm has been setup to eliminate Early Reflections. The transients should come from the stage and by only adding the reverb tail, the overall experience of a large room becomes very natural and musical. 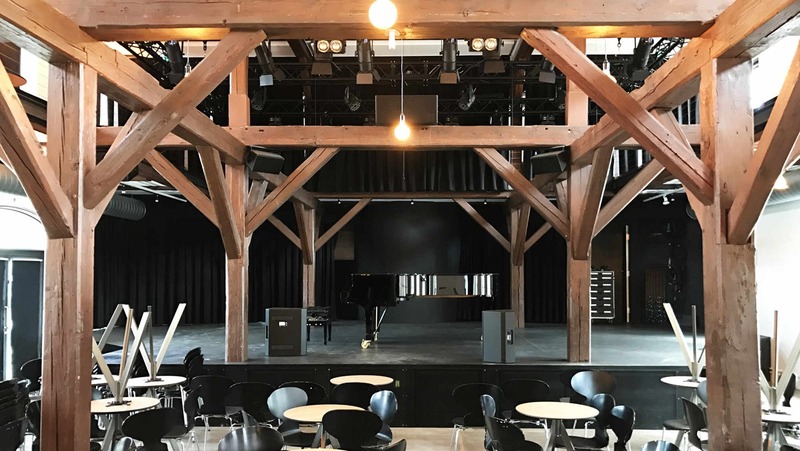 According to the audience, the musicians and the FOH engineer at Tøjhuset, the solution works beautifully and has indeed made it possible for very different types of music to co-exist at the same venue. The entire system has been provided and installed by system developer and integrator, Alfa Audio, who has designed the concept from scratch. And since it is a solution that will definitely be relevant for many concert venues around the world, it was decided to come up with a name for the solution that sums it all up. So, the next time you think about 'reverb-tail-room-correction', think Alfa Ecoustics. We guess that all there is left to say is: "Big thumbs up to Tøjhuset and their decision to implement Alfa Ecoustics!" Creating the best conditions possible for all kinds of musical experiences is no small task, but it is certainly an important one. We are proud to take part in making that mission successful!